The Welford Sanders Historic Lofts are being constructed at the current site of the Milwaukee Enterprise Center, 2821 N. 4th St. Photo by Edgar Mendez. 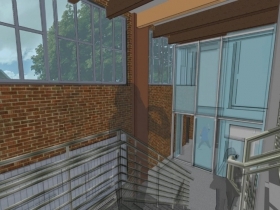 The original idea was for the building to become the fifth phase of the King Drive Commons, said Lemke, whose organization is working with the Martin Luther King Economic Development Corp. (MLKEDC) on the project. The Commons, a series of mixed-use developments, was championed by Sanders and has served as a catalyst for a number of projects in Harambee. 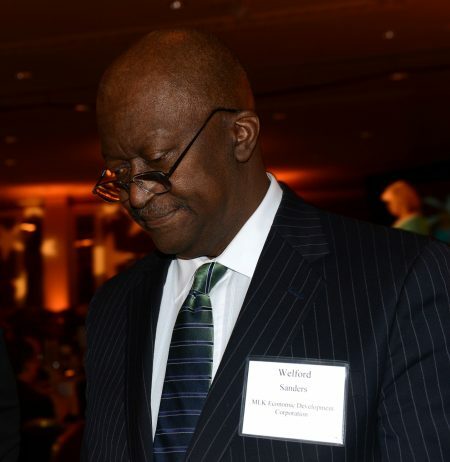 The late Welford Sanders accepted the BMO Harris Bank Cornerstone Award at the 2014 MANDI dinner. Photo by Sue Vliet. When Sanders, the longtime leader and public face of MLKEDC died two years ago, the plan was in danger of falling into disarray, according to Lemke. The organization brought in Leo Ries, who’d recently retired from LISC Milwaukee, to take over the project. Two years and various obstacles later, financing on the $21 million deal has been closed and another chapter added to its namesake’s book on resurrecting communities. 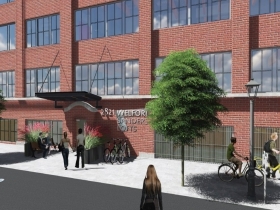 It has been renamed the Welford Sanders Historic Lofts. 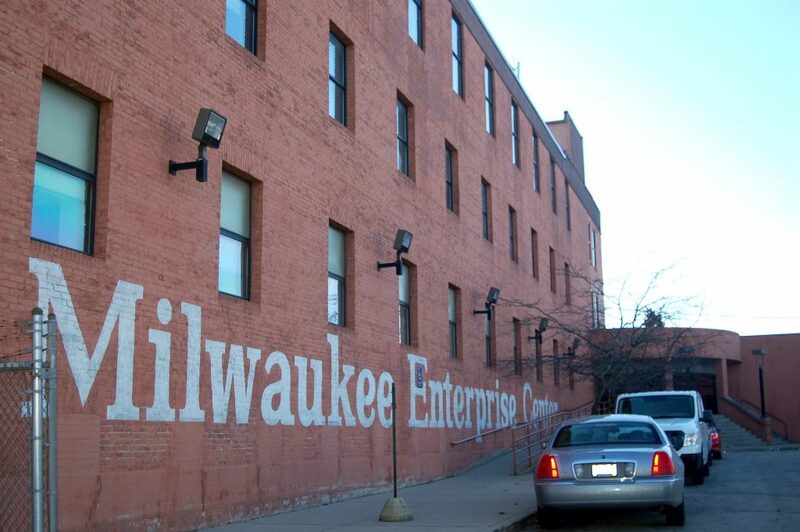 Renovation of the Milwaukee Enterprise Center, which originally housed the Nunn Bush shoe factory, is well underway, with office space set to open in May and 59 affordable housing units to follow the next year. 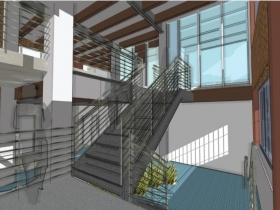 Occupants of the office space include current tenants as well as additional service-providing organizations, including job development and re-entry programs, in addition to entrepreneurs, according to Ries. “The idea was to continue to include organizations that reduce barriers to unemployment. This building is a neighborhood institution that has helped many in the surrounding community accomplish that already,” Ries said. A fundraising campaign has begun to build a statue of Sanders, which will be placed in the courtyard of the building, he added. The property, located in Harambee, had changed ownership several times since being purchased by Milwaukee Area Technical College (MATC) in 1985 and transitioned into a business incubator. Ben Johnson, president of MLKEDC’s board, worked in the building as a small business developer for MATC shortly after the incubator opened. There he helped entrepreneurs develop business plans and obtain financing, and provided management counseling, he said. 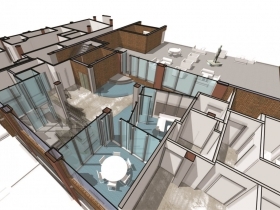 Even before the current concept for the building came to fruition, Sanders, who was a long-time instructor at UW-Milwaukee’s School of Architecture and Urban Planning, brought his students there to discuss possibilities for the building, said Johnson. “Fortunately, the building ended up in our hands and could be used in a way that coincided with MLKEDC’s vision,” Johnson added. MATC sold the building in 2011 and it switched hands a few more times before it was donated to MLKEDC, which had its first headquarters there. The building was in poor condition, and getting it on the National Register of Historic Places was necessary to secure federal and state funding to rehab it, Lemke said. Another obstacle was that not all the initial investors were sold on the idea to mix commercial and residential uses and some pulled out, he said. 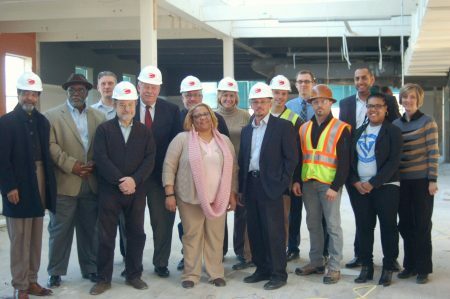 The development team for the Welford Sanders Historic Lofts poses for a photo on the building’s 4th floor. Photo by Edgar Mendez. In the end, the historic tax credits, city grants, funds from investors and low-interest loans from organizations such as the Wisconsin Housing and Economic Development Authority (WHEDA) were utilized to finance the project. 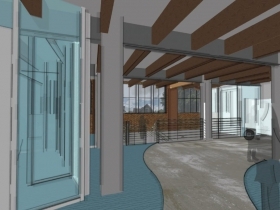 The concept behind the redevelopment came as a result of a 2013 design charette, according to Carolyn Esswein, director of Community Design Solutions at UW-Milwaukee. The charette, which she and Sanders developed, revolved around how to squeeze more out of MEC. 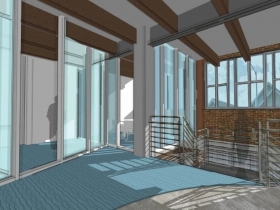 “We wanted to maximize the potential of the unused space while continuing to provide resources for the community. Giving back to the neighborhood was Sanders’ vision throughout his career and this project is another example of it,” Esswein said. The building will help advance MLKEDC’s focus on quality of life issues in Harambee, according to Ries. It was Sanders who led the group’s effort to transform the area from an example of urban blight to a destination neighborhood featuring networking events such as gallery nights and other amenities. Creating a space where groups can collaborate, residents can access social services and employees can walk across the hall from home to work is another step in building the type of dynamic environment to which Sanders dedicated his life, Ries said. Although the building will serve as a fitting tribute and memorial to Sanders, it’s important to remember that his impact is still being felt far beyond Harambee, said Johnson.